With this Shrink Wrap kit from Mr. ShrinkWrap, you will find everything you need to start shrink wrapping other than the actual shrink film itself. 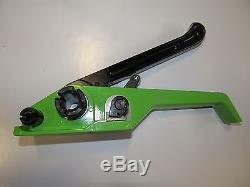 Included in this kit is the Shrinkfast 998 Heat Gun and the following. One roll of 1/4" x 6" Foam Padding. 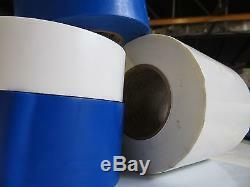 Three rolls of 4 X 180' White Heat Shrink Tape. 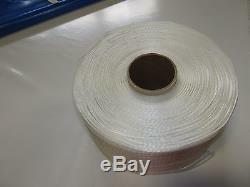 One roll of 2 X 180' White Heat Shrink Tape. One Pack of 100 1/2 Self Locking Buckles. One roll of 1/2 X 1500' Poly Cord Strap. 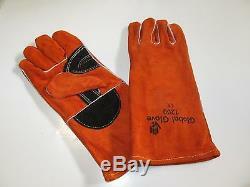 One pair of Leather Safety Gloves. Shrinkwrap is an authorized dealer for Shrinkfast. Heat tools and parts and has been a leading supplier of shrink film and installation accessories since 1991, we also p erform repairs and reconditioning of Shrinkfast heat tools. Model 998 is the leading heat tool for both shrink-wrapping and shrink-film processing. When time is of the essence the power of the 998 will get the job done right quickly and efficiently. The advantages of shrink-wrapping with shrink-film and patented Shrinkfast. Heat tools: Powerful Offering 15% more power than its leading competitors, the model 998 will shrink the toughest jobs more quickly and economically. With 212,000 BTUs of power, a person can shrink-wrap a 40 x 48 x 60 pallet in less than 2 minutes. The Model 998 come prepared to connect and use with standard propane tanks. Lightweight With its sleek design and weighing only 2.2 lbs. The 998 is perfectly balanced for operator comfort. The 998s ergonomic design and fan shaped combustor lead to an even and steady heat pattern for consistent shrink-wrapping. Safe With it UL listing, the 998 is designed to handle the toughest industrial jobs with several built-in safety mechanisms: A dead man trigger is designed to automatically shut off the flame once the trigger is released. Patented combustion cycle allows the flame to burn outside the nozzle, which remains cool to the touch, even after extensive use. In addition, the regulator has an automatic safety POL that shuts off the propane supply in the case the hose gets cut or develops a leak. Flexible When shrink-wrapping large equipment or difficult to reach areas, the Shrinkfast. Integrated extension system provides unlimited shrinking possibilities. With a 2, 4, or 6 extension available, no job is to big for the model 998. Versatile Shrink-wrapping results in a five-sided protection from the elements. Shrink film also produces a stronger bond than either stretch-wrap or banding. This additional protection is critical during the transportation and storage of everything from those odd-shaped pallets to large industrial equipment. 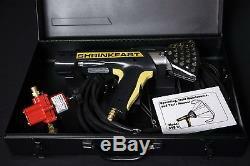 The item "Shrink Wrap Kit Includes Shrinkfast 998 Heat Gun" is in sale since Wednesday, September 18, 2013. 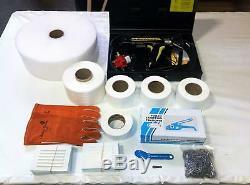 This item is in the category "Business & Industrial\Material Handling\Packing & Shipping\Shrink Wrap". 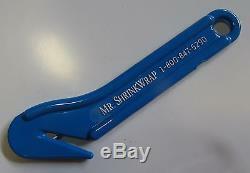 The seller is "mrshrinkwrap" and is located in Media, Pennsylvania. This item can be shipped to North, South, or Latin America, all countries in Europe, all countries in continental Asia, Australia.